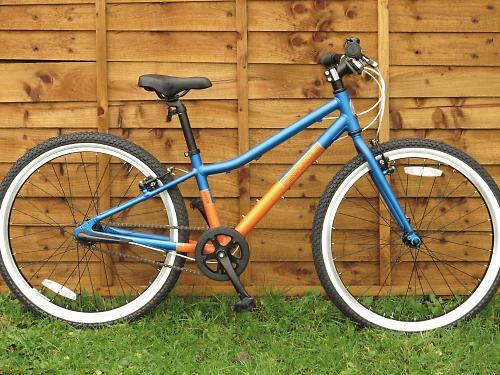 Pinnacle's Aspen 5 is a good quality all-rounder for kids who like to muck about on bikes. What it loses in being a bit heavy it makes up for by being fun to ride and simple to operate. It's decent value as well. 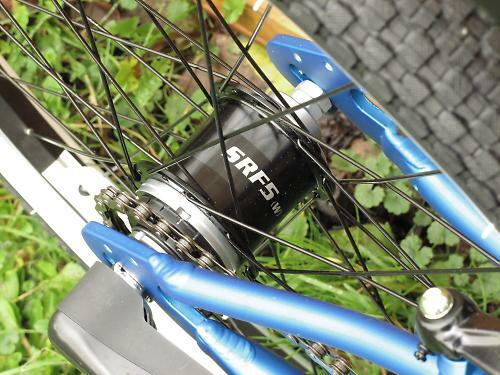 Built around a sturdy 6061-T6 heat-treated alloy frame with 24-inch wheels, the Pinnacle 5 comes with Sturmey Archer's SRF5(W) five-speed hub gear; the bike is also available with a six-speed derailleur setup. With its 36T chainring and 20T sprocket that gives you a gear inch range from about 25" to about 63", which is good for most general riding. The trigger shifter has quite a heavy action, but aside from that it's easy for small hands to use and it has the advantage of being able to change gear when at a standstill. That's a definite plus: kids are never in the right gear when they stop. The Sturmey hub is built into a strong wheel with an Alex rim and stainless spokes, and the matching front has a Joytech quick-release hub. 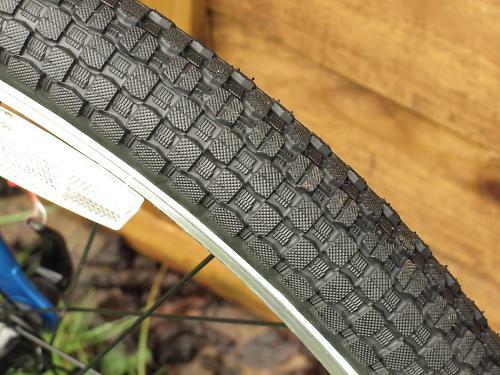 Tyres are Kenda K905 K-Rad 24–1.95 whitewalls, which are a small block pattern that's easy rolling on the road and also good for surfaced trails, pump tracks and the like. They're not great when it's really muddy but other than that they're a good compromise for varied riding. The big air chamber means you can run them fairly soft and that gives the bike a bit of cushioning; the small alloy frame and rigid forks make it a pretty stiff ride otherwise. 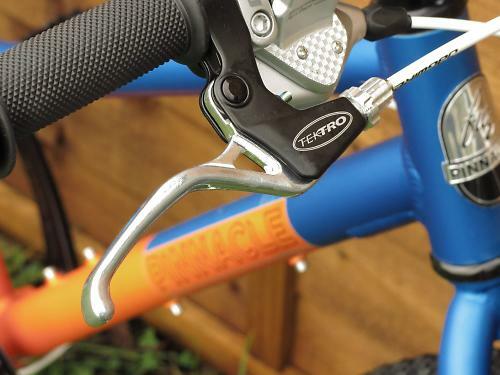 Braking is handled by Tektro V-brakes and kid-sized levers. The levers have a decent reach adjust mechanism for small hands, and the brakes are plenty powerful. The rest of the finishing kit is all good-quality alloy stuff and you get a child-sized saddle and good rubber grips as contact points. Overall the bike feels well finished, and the blue/orange colour scheme is classy. The main test pilot was Joel (7) who's below the recommended age for the bike but well above the recommended height for his age. He loved it. 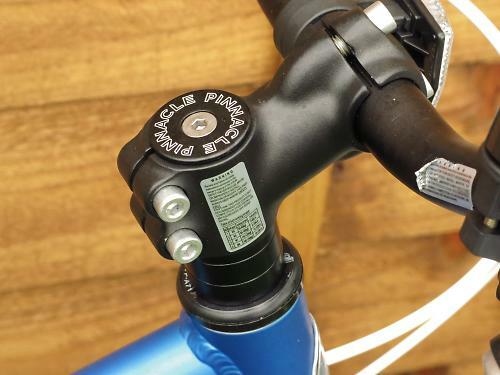 Coming off the back of riding a Frog mountain bike and a Hoy road bike he found the trigger shift gears and powerful brakes much more accessible than gripshift-style shifters or integrated levers. 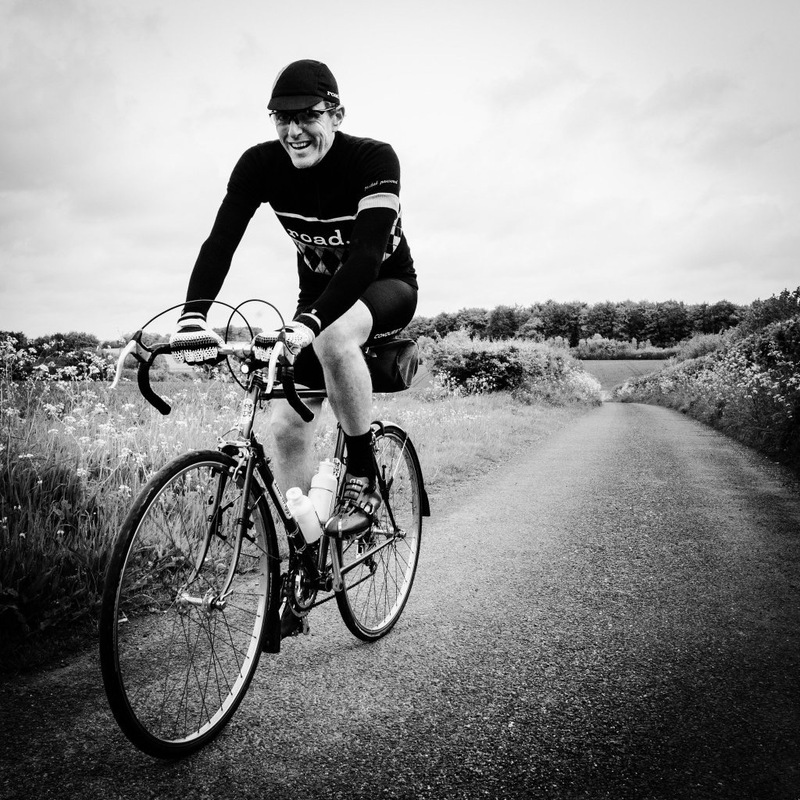 Mostly he liked that the Pinnacle was an easy and fun bike to be on. He's been very happy riding it. Daisy (nearly 10) has also been riding the Aspen, which she likes because it's a different experience to her drop-barred Islabike. She very much likes both, but the Pinnacle wins when it's just going out to ride for fun, or hooning round the BMX track. There's not much wrong with the Aspen 5 out of the box, really. The plastic cover that protects the shift cable going into the hub is prone to coming loose but a bit of insulating tape is all that's needed to sort that. The 160mm cranks are probably just on the long side for Joel's legs but he didn't have any trouble at all riding the bike, and Daisy (who's about 10cm taller) was fine. The plastic pedals won't last too many episodes of the bike being chucked down but they're easily replaceable. The overall weight is a couple of kilos more than an Islabike Beinn 24 but neither tester complained about the weight as they were both having plenty of fun riding it, and at £280 the Pinnacle is significantly cheaper than the Beinn 24 or its direct competitors. Swapping out the tyres for something more road-oriented would save some weight and generally speed things up, if you felt you needed to. If you like to drag your kids out in all weathers the frame and fork are fully drilled for mudguards, and also a rack. As a general purpose kids' bike for family riding and fun, it's a good choice. Pinnacle Aspen 5 Speed 24 Inch Kids Bike. Pinnacle children's bikes are for all-round use and maximising fun. They're light and simple, ideal for parents who want small proper bikes that help children get the most out of cycling at an early age. Quality butted aluminium frames keep the weight low, The small-block style BMX tyres for mixed-terrain riding. 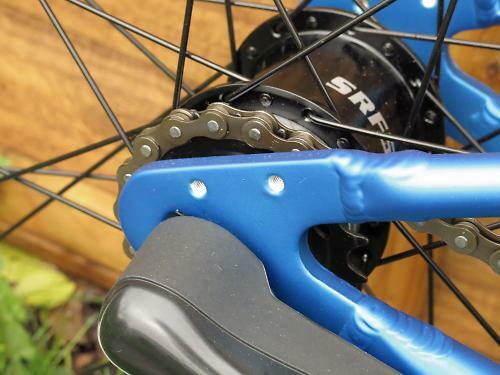 The bikes all use twin chain-plates to avoid derailled chains and parents with greasy-hands. Rear-only gears keep it simpler for learning the basics. Rigid forks are lighter than often-ineffective suspension and let us create a better geometry for children the BB is as low as possible and there's less weight on the hands and a more confident steering feel. 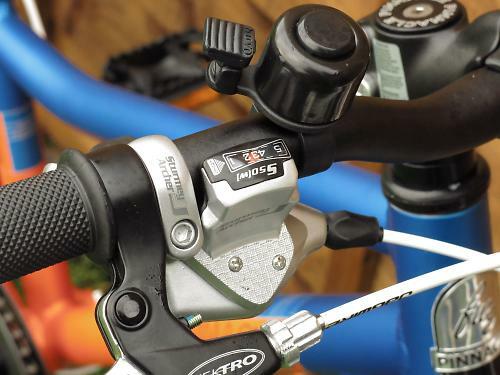 Brake levers are scaled right down and matched to midi-v brakes for a powerful brake action. Nicely built with quality components. Both junior testers really enjoyed riding it. Good solid kit should last very well. On the heavy side for a quality kids' bike but doesn't really suffer for it. Lots of give in the big tyres, contact points are good. Decent value for what you're getting. Enjoyable to ride, well put together. Did you enjoy using the product? The kids did. Pity about the weight, but great to see hub gears for kids; Isla bikes are great but derrailliers are not appropriate for lots of kids. Interested to hear your thoughts on the non-QR rear wheel. 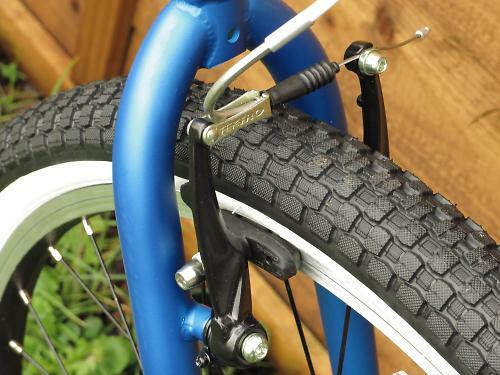 How well would a non-bike-geek parent (or child) get on mending their own punctures / swapping tyres? I get the hub gear thing for robustness, longevity, cleanliness, shifting-while-still. But all these points don't seem to be harming Islabikes anymuch. Also it would pretty much mean removing the wheel to fit into a car is a non-starter. As a 24" bike is easily popped sideways in the back of a decent boot or hatchback, I imagine lots of folks do this - but you wouldn't with a fixed rear wheel. For my kids a puncture on the way home from school means walking. QR makes no difference, they certainly wouldn't be able to get the tyre off, never mind fit a rear wheel confidently. The only time I ever broke a tyre lever was removing a 24" Islabike tyre (in fact I broke two). We all had S-A 3 speed gears, it never stopped us riding anywhere. I was 14 before I had my first 5 speed derailleur. Hub gears make sense. Simple to setup, with less maintenance, no rear mech to bash on rocks or hit when they dump the bike on the chain side. Shifting at a standstill is great, as the article states. The extra 2kg is not a deal breaker - many kids' bikes are heavier, it's only the really good ones that are 8 or 9kg. Neither of our Beinn 24s will fit in the Fabia's boot, even with both wheels removed, never mind both bikes! Have to fold the 2/3 section of the rear seat down and remove front wheel.